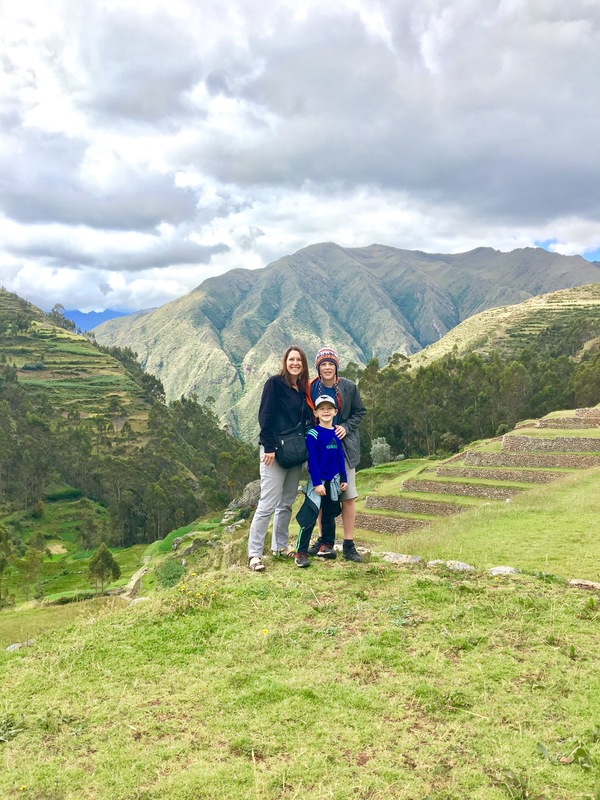 Almost everyone has heard of Machu Picchu, the famous Incan ruin (it’s one of the wonders of the world), but what I didn’t know before going to Peru was that it is full of Incan and Pre-Incan ruins. 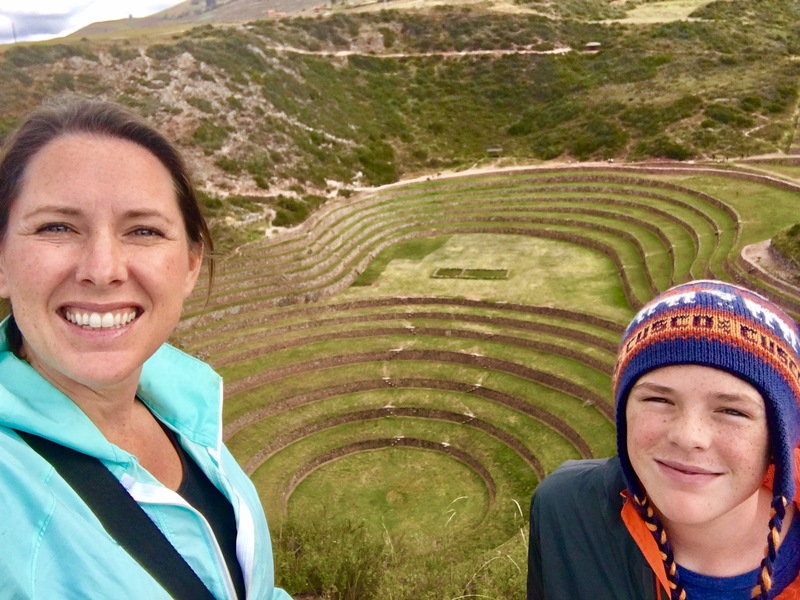 While staying in Cusco for 3 weeks, we spent the weekends exploring The Sacred Valley, which includes Machu Picchu, but also enjoyed seeing many of the other ruins and incredible beauty the Sacred Valley has to offer. 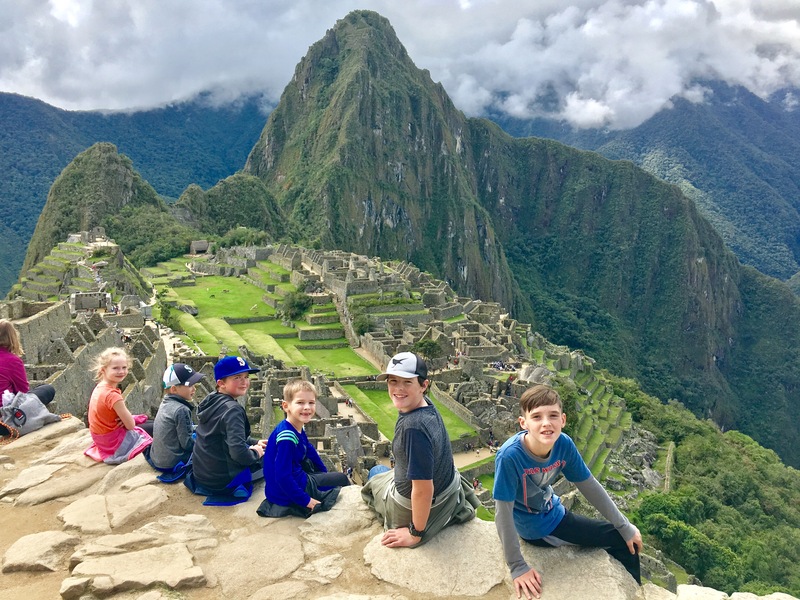 The number of people who can visit Machu Picchu each day is limited and we had purchased tickets for the first Saturday we were in Peru. 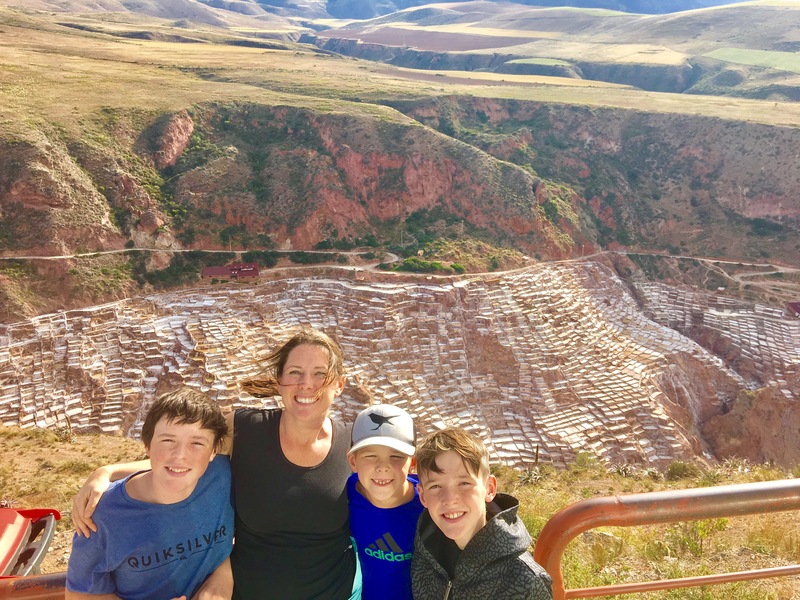 Unfortunately, a few days before this Jeromy got sick with altitude sickness so we had to put all of our plans on hold until he got better and we figured out if we would even be able to go. 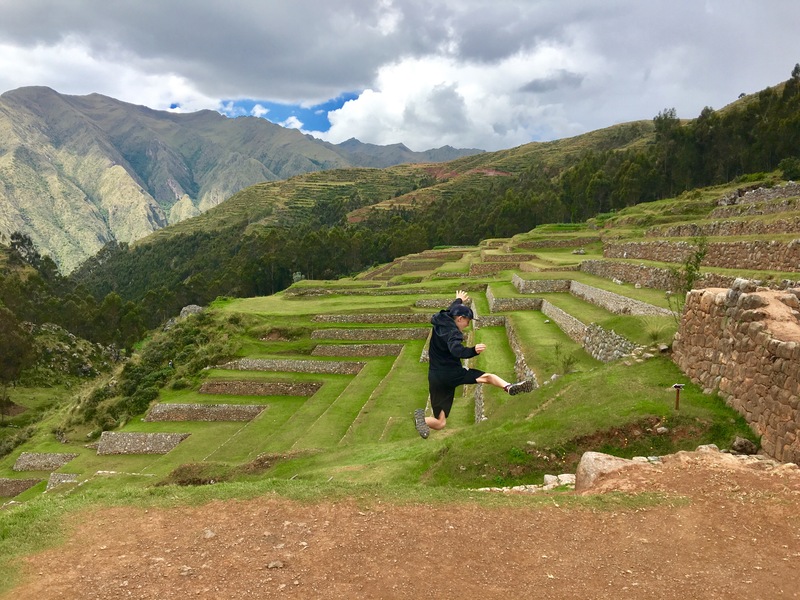 On Friday afternoon, we sent Jeromy off to Lima and sea level elevations to recover by himself, at which point, I had to figure out how to get to Machu Picchu the next day. 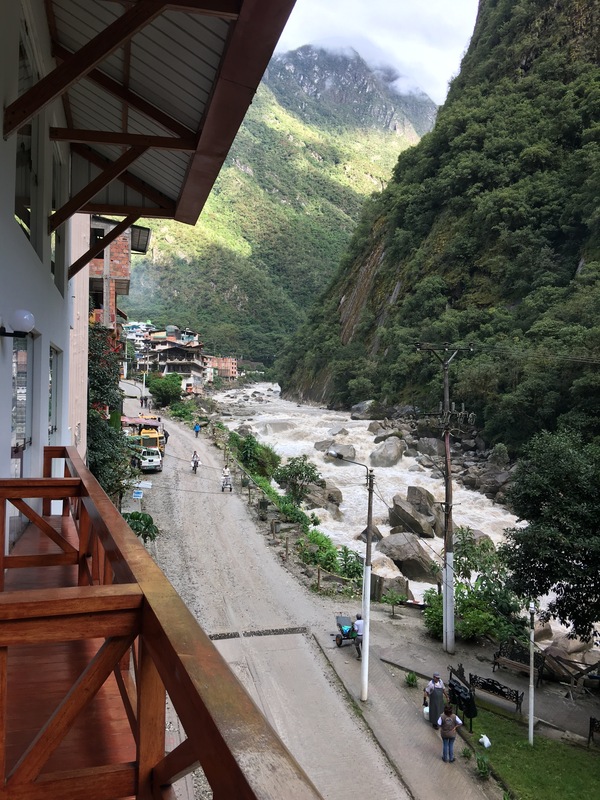 It doesn’t seem like a huge deal, but to get to Machu Picchu from Cusco you have to take a two hour bus/taxi ride, then take a train for 1 1/2 hours to Aguas Calientes, a small town in the valley below Machu Picchu. 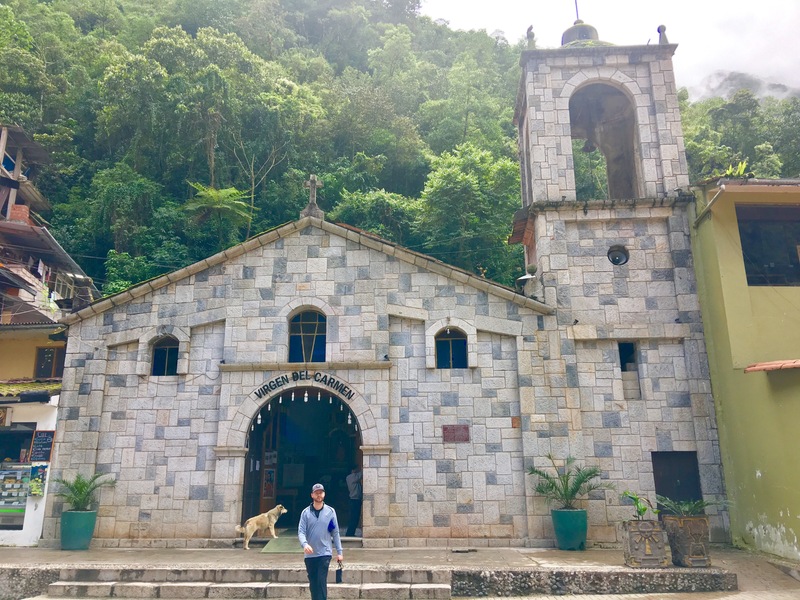 Then it’s a 20 minute bus ride to get there from Aguas Calientes. Believe it or not, that’s the easy way to get there! 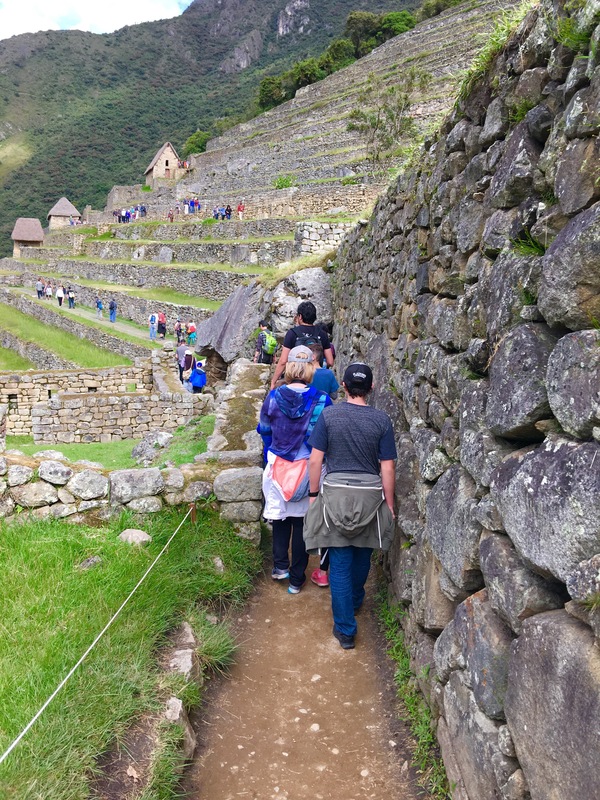 Many people chose to hike the Inca Trail, a 4-5 day hike through the Andes Mountains ending at Machu Picchu. 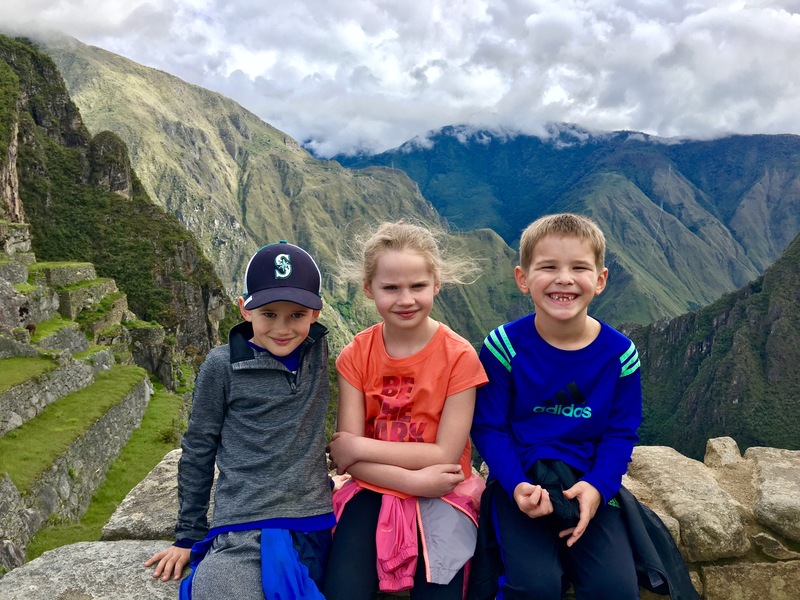 I’ve heard it’s amazing, and I would love to do it someday, but it is very difficult, and while our kids have hiked and walked a lot on this trip (12 miles in one day in Paris) we figured it was just too much for Luke. So after Jeromy headed out, I hurried to buy train tickets that evening. As I was purchasing the last 5 tickets for that night, someone else on the internet purchased them before me! 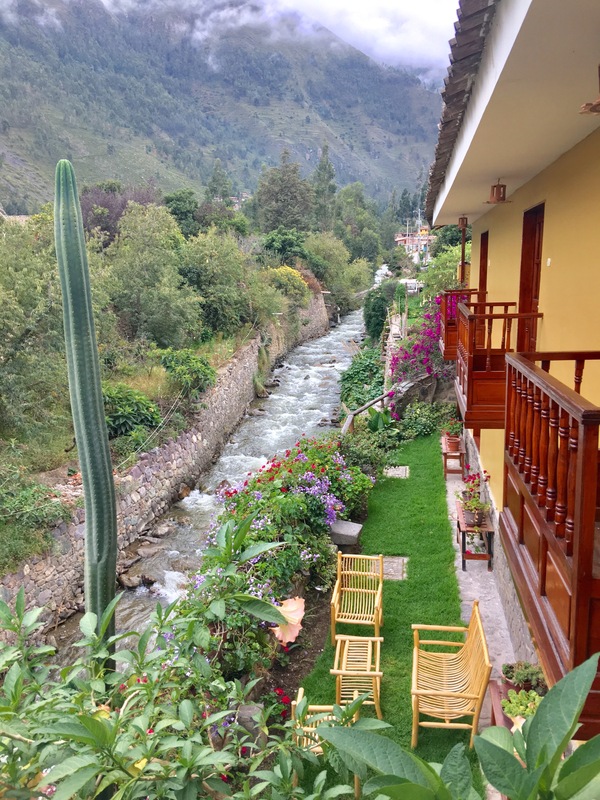 Fortunately, I was able to get tickets on a train early the next morning, but I had to find a hotel to stay in that night in Ollantaytambo, the small town by the train station two hours away. 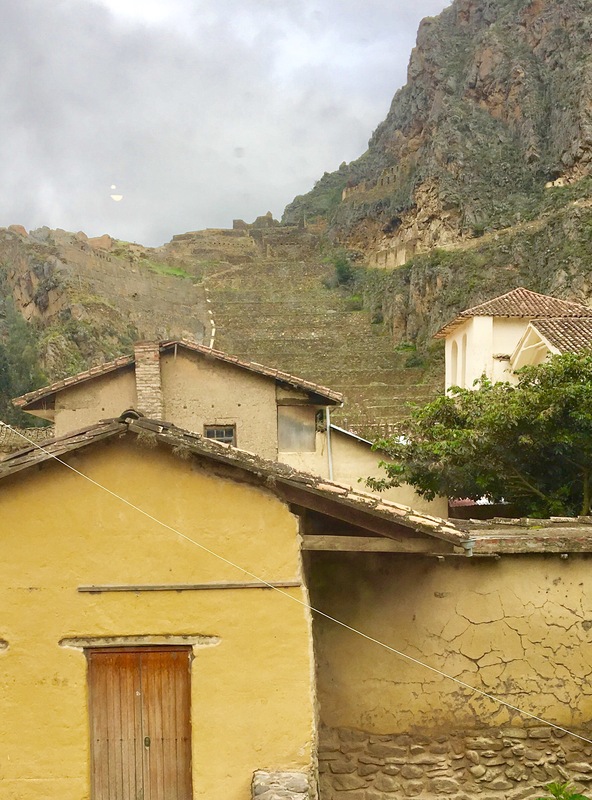 The view from our hotel in Ollantaytambo. With views of the ruins (below) and this river, it ended up being a beautiful place to stop. 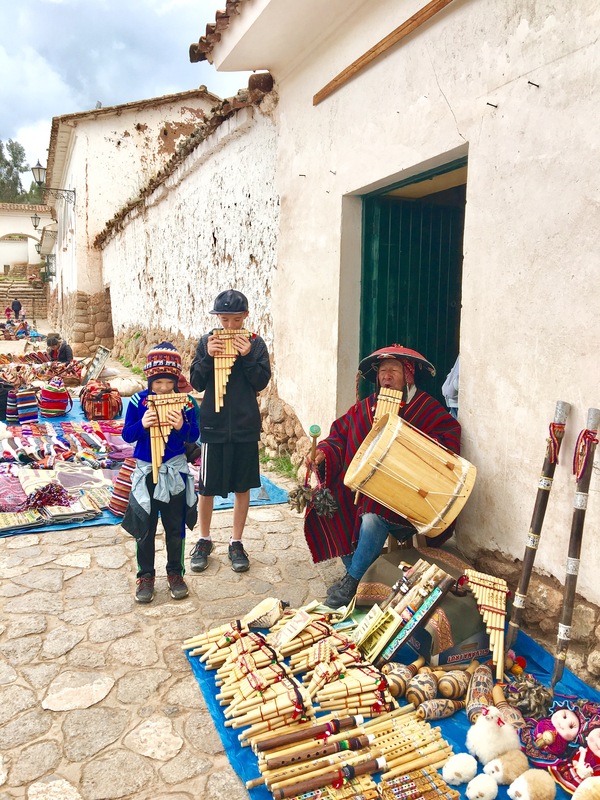 So, I packed the boys up and we headed out to hire a taxi to Ollyantaytambo, a two hour windy ride through the mountains of Peru. We were all a little on edge but we were so exhausted from our crazy week it didn’t matter. 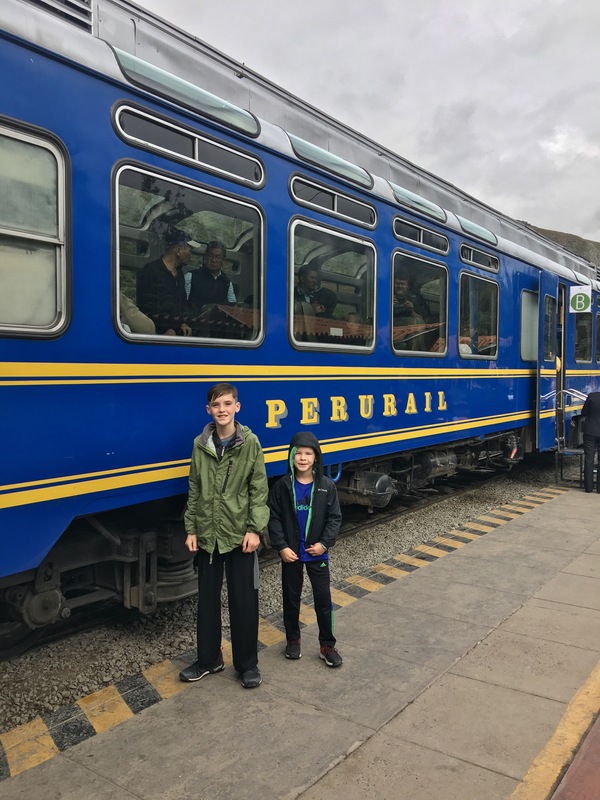 We got in about 11:00 pm to Ollyantaytambo and went straight to sleep to be ready for our train ride early the next morning. 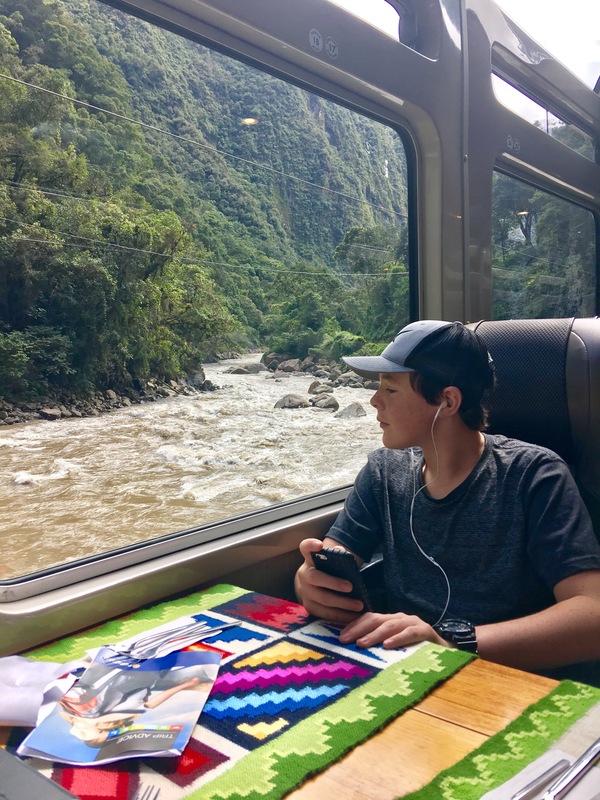 The next morning we took the train along the Urubamba river to Aguas Calientes and through the Andes Mountains. 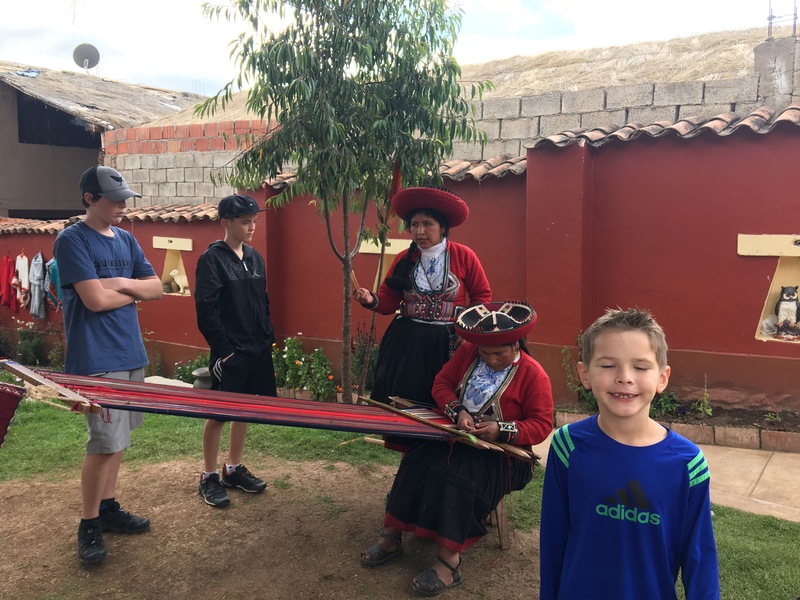 When we arrived, we met up with our friends The Hassleblads who came to Peru to see us! 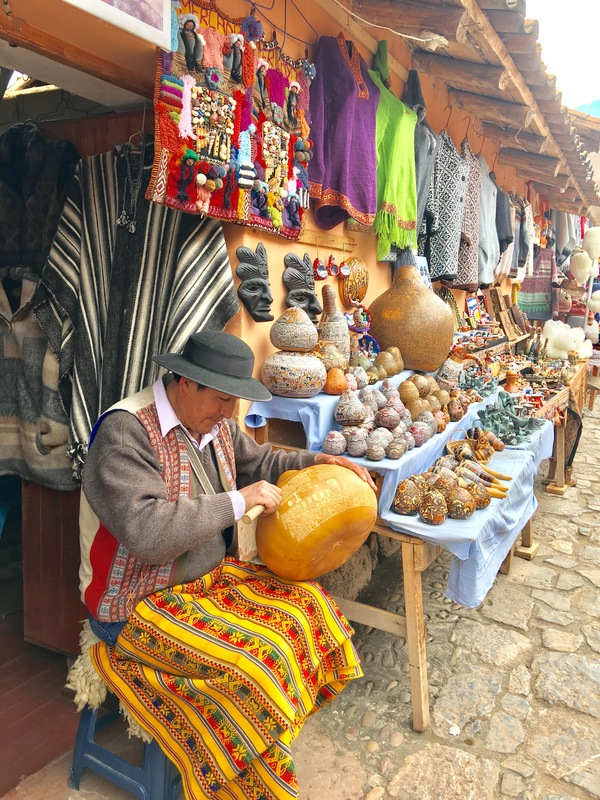 (and maybe Peru too) There couldn’t have been a better time to have visitors! It had been a long week and seeing friendly faces from home buoyed me up more than they will every know! 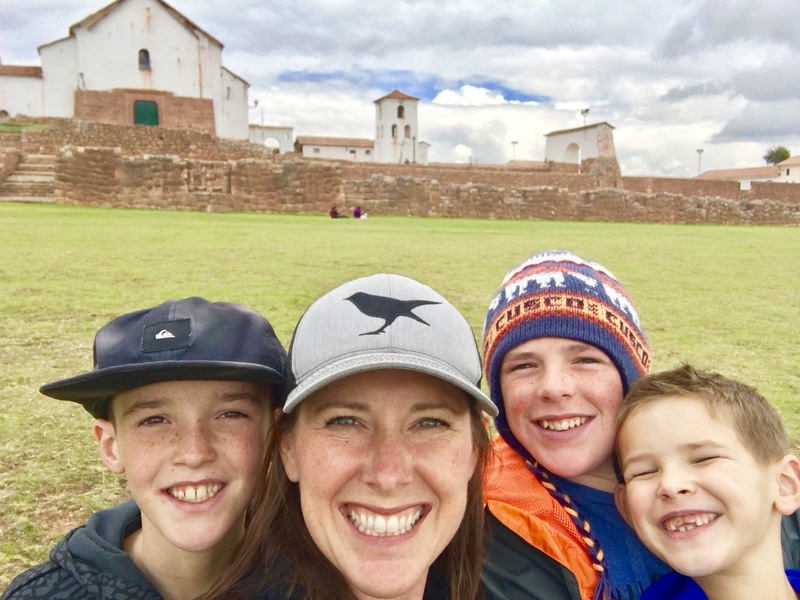 They have three sweet kids and my kids LOVED having kids to play with! 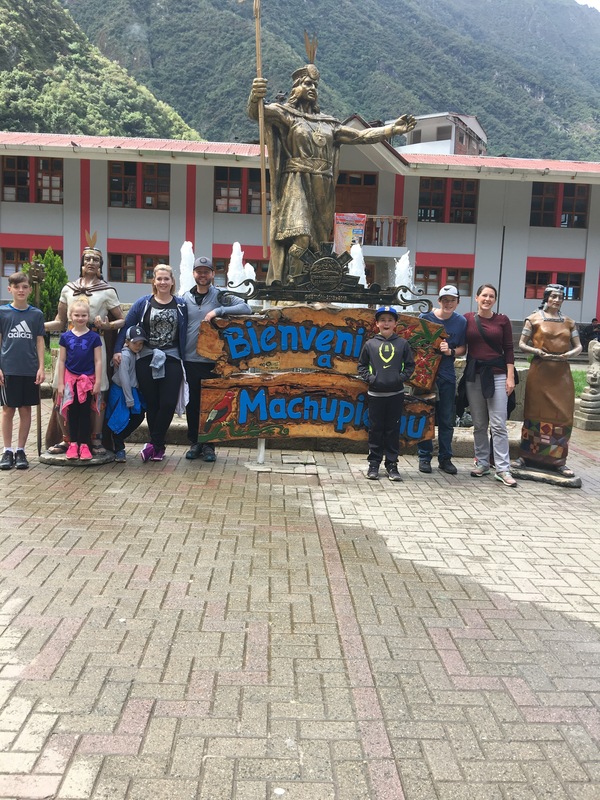 After finally arriving, we were ready to see Machu Picchu! We bought our bus tickets and made our way up. 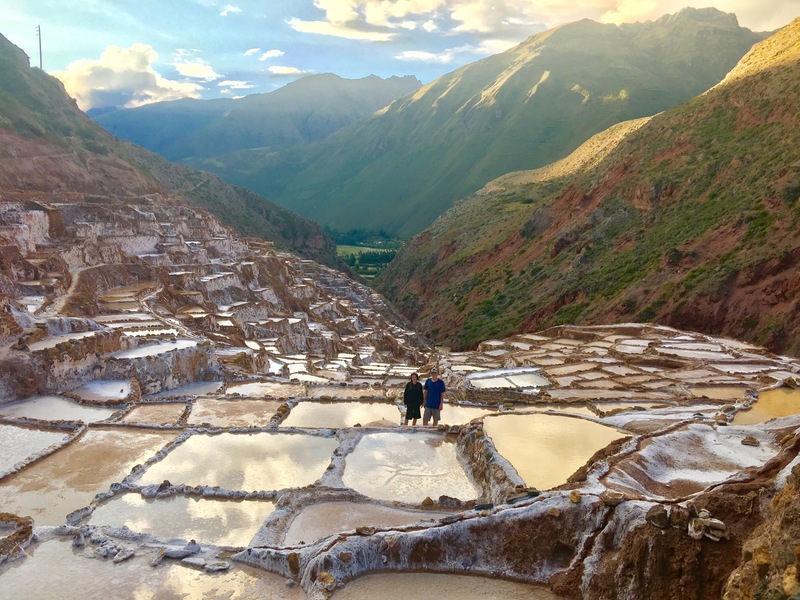 When seeing a wonder of the world, it’s always a question if it will live up to the hype. 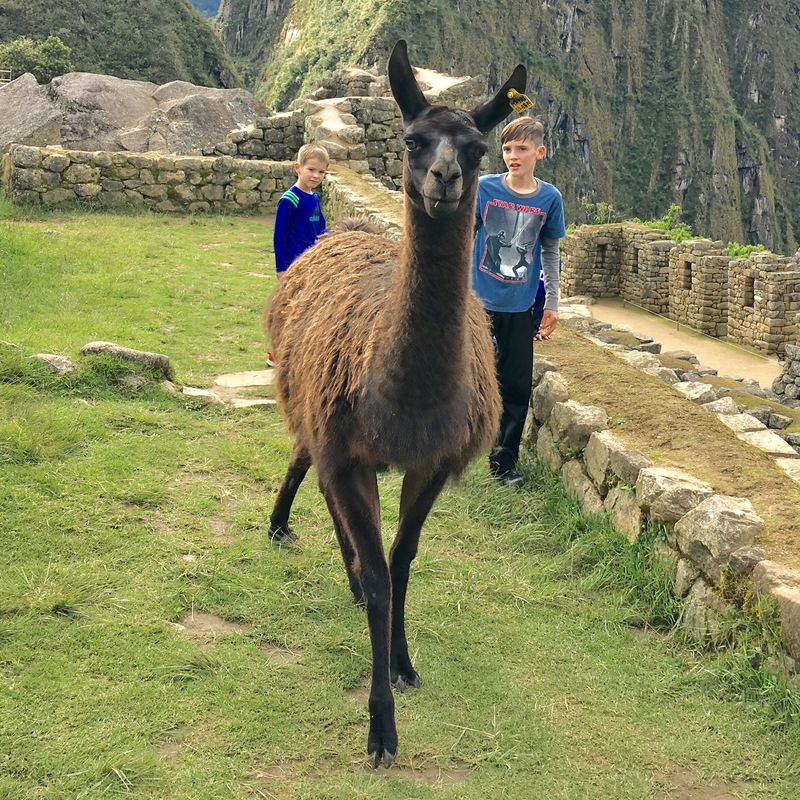 Well, for me Machu Picchu did! It was as beautiful if not more so than any picture I had seen. 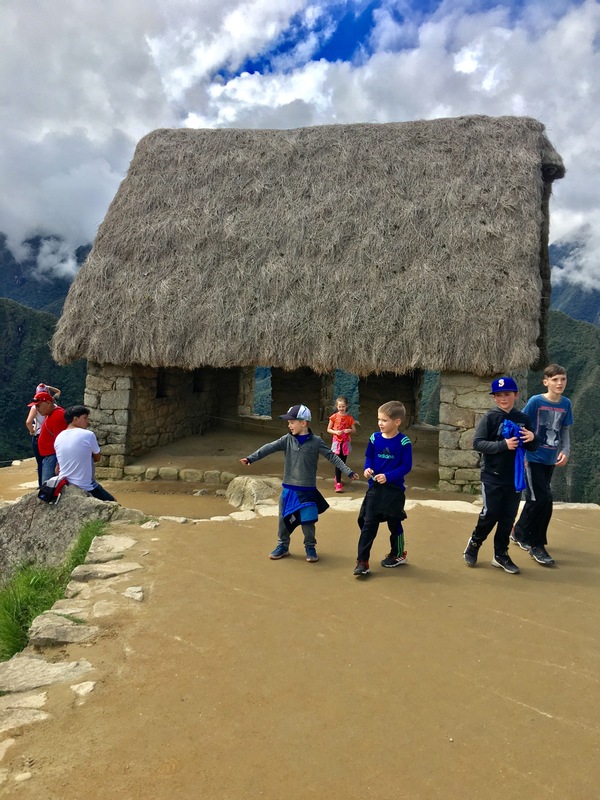 We hiked up and down the stairs exploring the different areas. 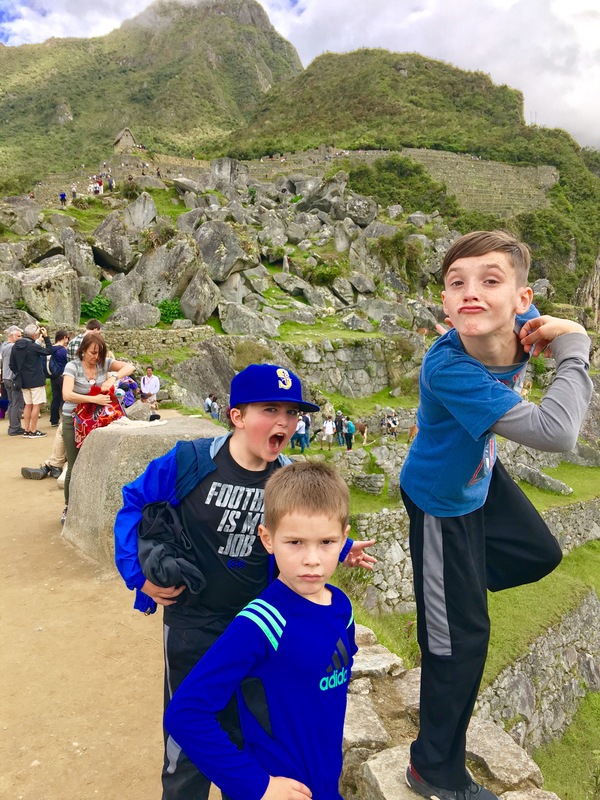 While I was in the hostpital with Jeromy, the boys had watched a couple of documentaries on Machu Picchu, so they informed us of the things they could remember, but we mostly just wandered around taking in the majesty of the place. 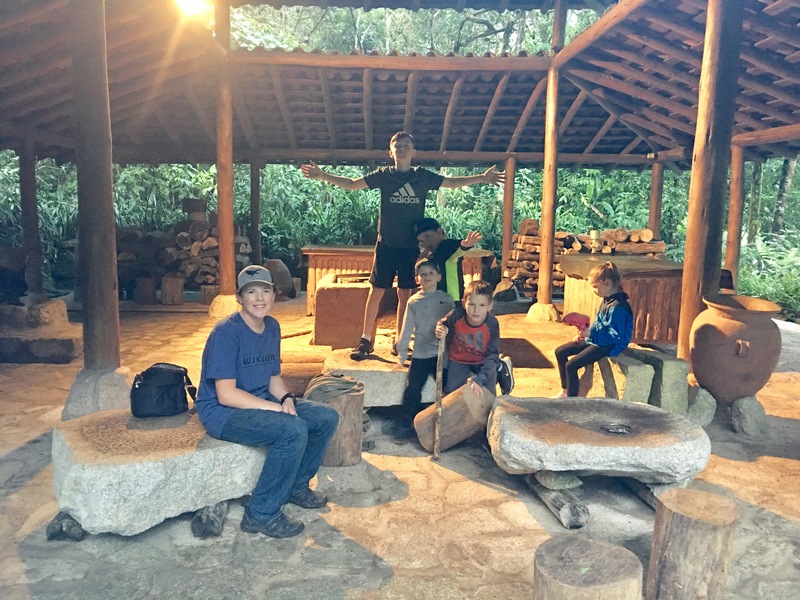 We spent two nights in Aguas Calientes and so the next day we explored the town, then let the kids just play. It was great for me to have some adult time and for them to be able to run around and play with friends again! 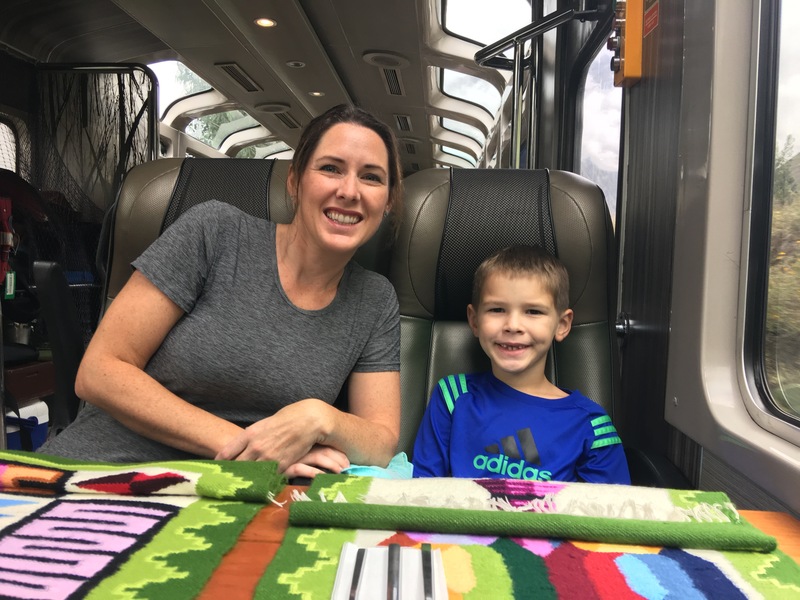 We loved having the Hasslebad’s there with us! View of Aquas Calientes from our hotel balcony. Scary stories in the hut! Fortunately, there were no nightmares. After a day of playing in the forest, they ended the night watching funny YouTube videos! It was so much fun and almost made us feel like we were back at home. 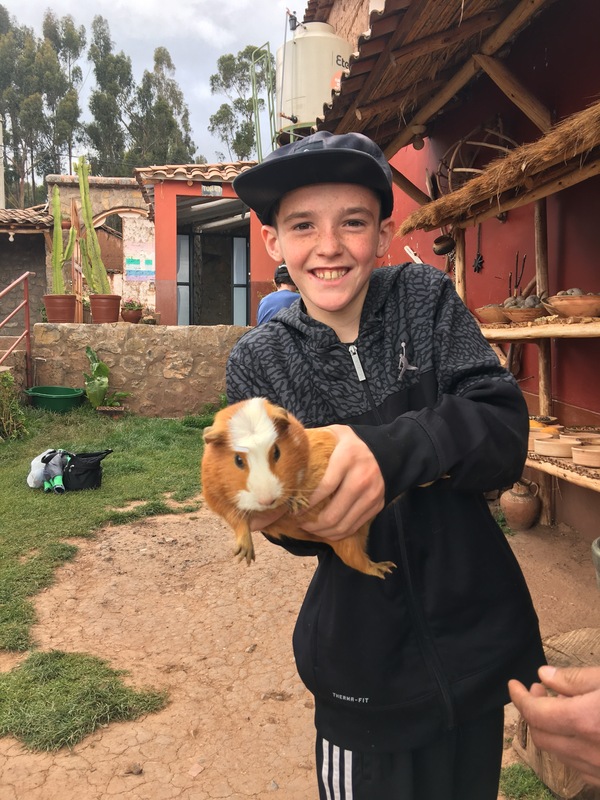 The next day we headed back on the train and then a taxi to our apartment in Cusco and another week of Spanish classes. 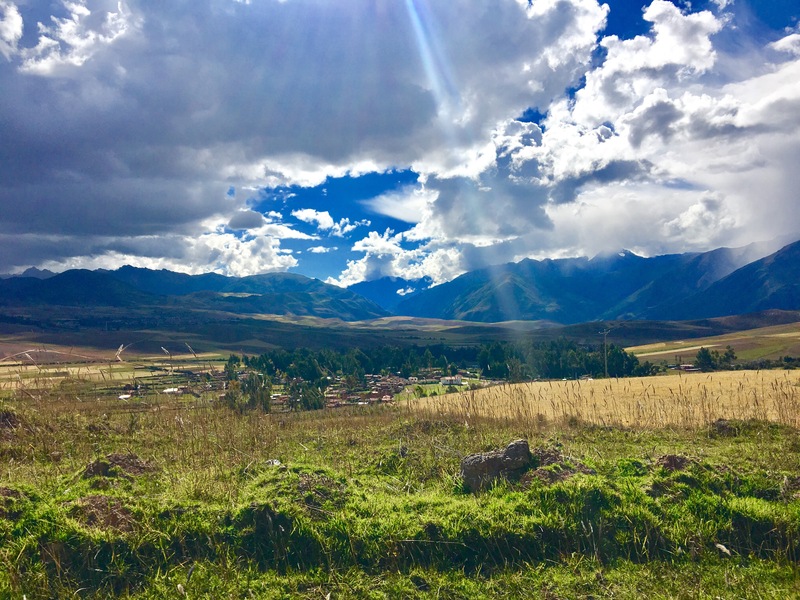 The next weekend, we headed out again to explore some of the lesser known, but still very impressive ruins in the Sacred Valley. 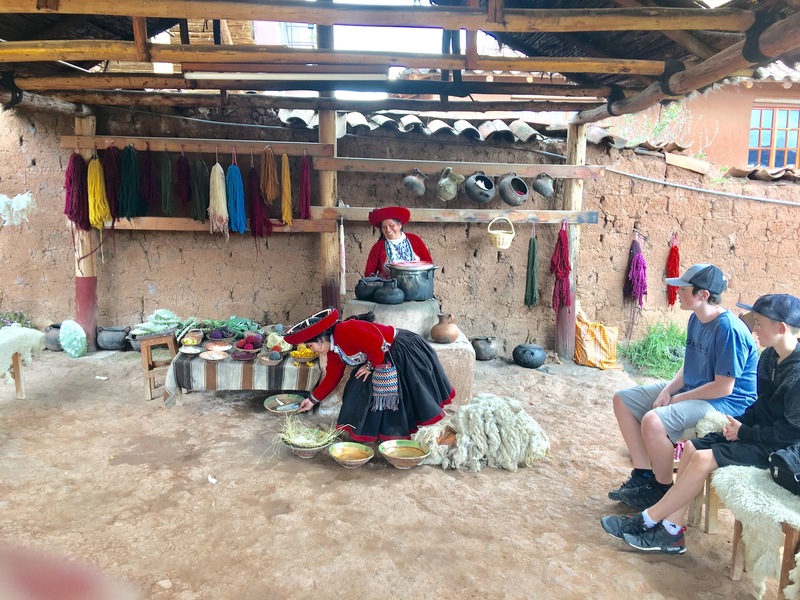 The products used to create natural dyes for the wool. 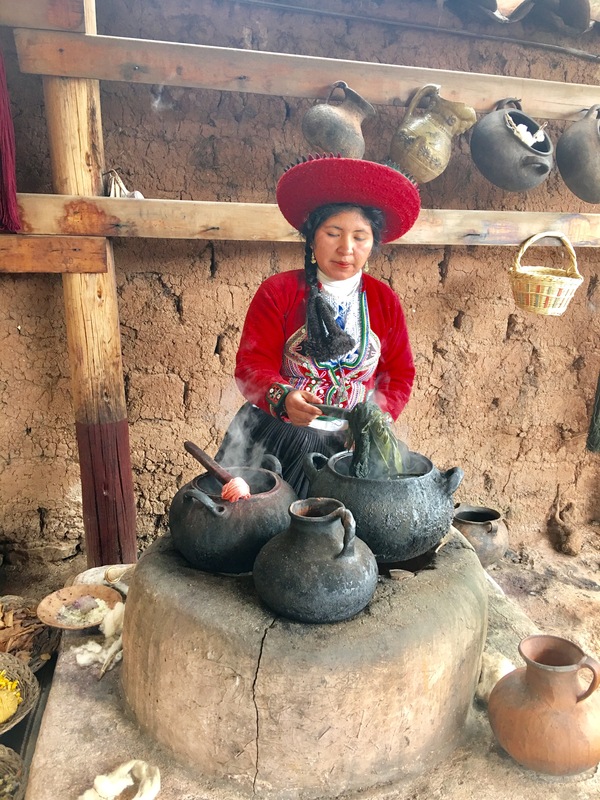 Boiling the strings of wool with the dyes. The most interesting was the red dye. They squished up little beetles and used their blood to dye the wool. A bonus was that they could use it as lipstick as well! 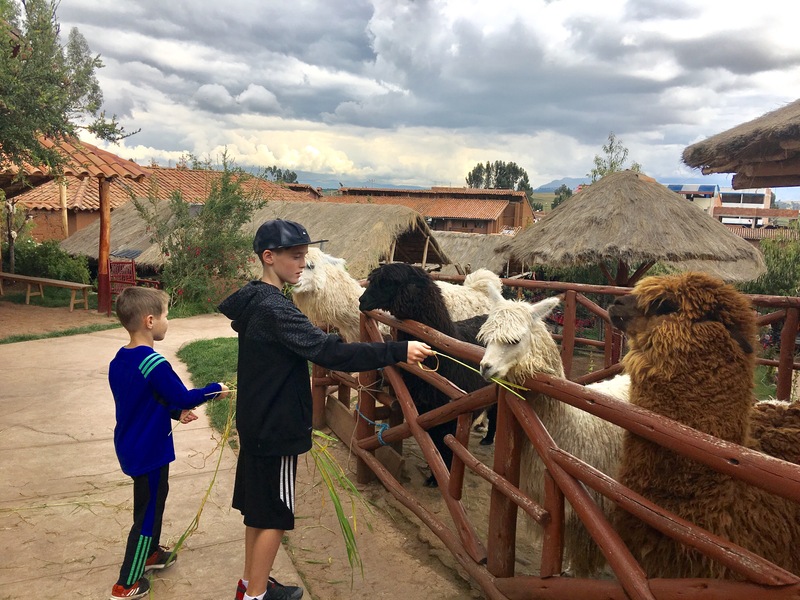 We were also able to play with some animals which in Peru are considered dinner,but in the United States we consider pets! Hope they didn’t get too attached. 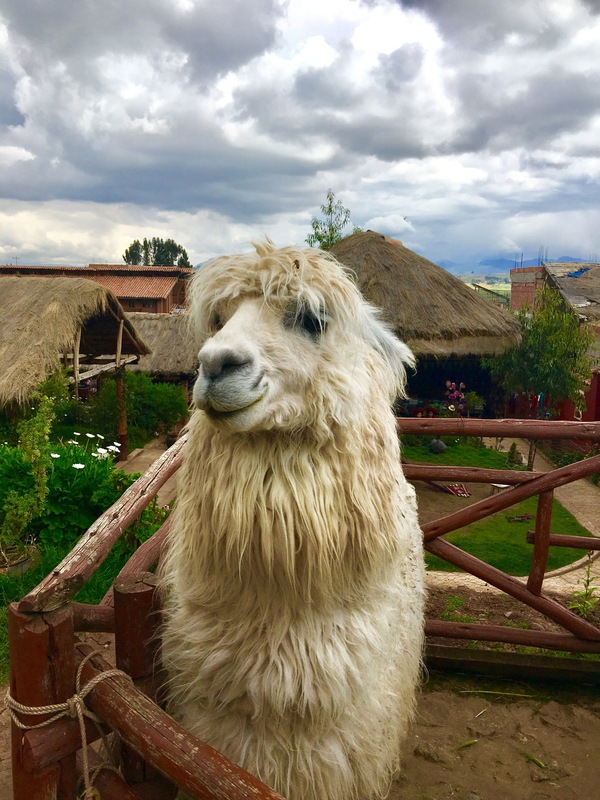 Alpacas and guinea pigs are on almost every Peruvian menu! 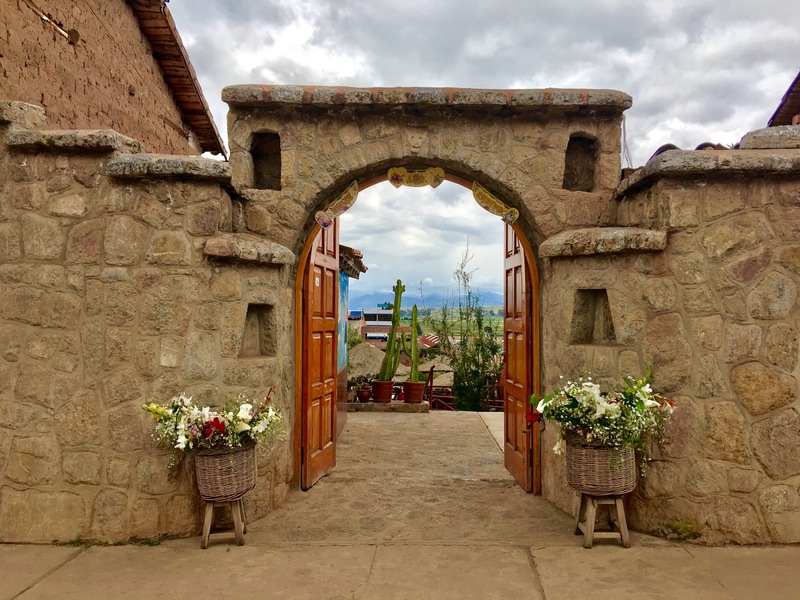 After the crowds at Machu Picchu and the busyness of Cusco, this was nice way to experience the more peaceful side of Peru. 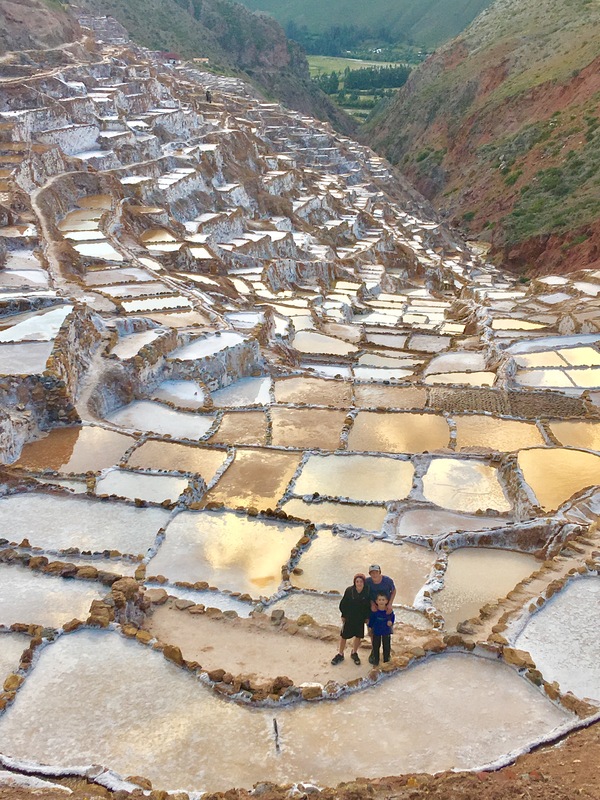 The Maras Salt Ponds are an engineering marvel, especially considering that Peruvians have been obtaining salt from these ponds by evaporating salty water from a local subterranean stream, long before Peru was a country, even long before the Incans. There are intricate channels funneling the water to the hundreds of different ponds in the system. 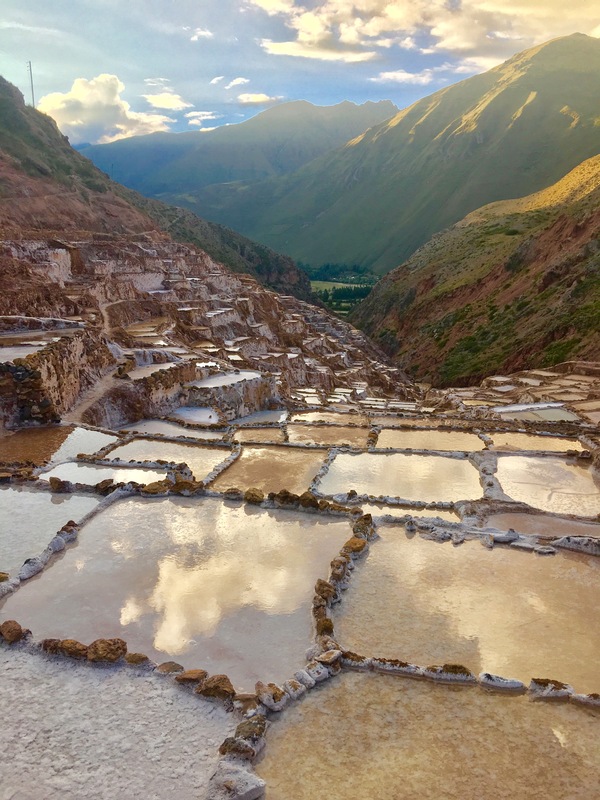 The families who work the ponds let the water out after a period of time and then harvest the salt from the walls. 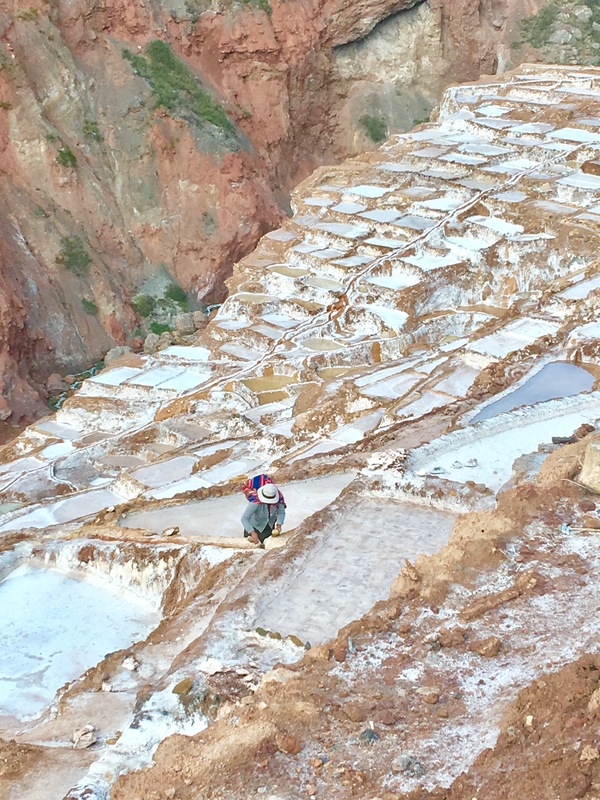 Local families still harvest salt from these ponds today. With new families in the community able to petition the local leader for a pond to use if they are interested. The size of the pond depends on the size of the family and the owners of the ponds who have been working longer are able to have the ponds closest to the community. The boys loved climbing along the channels and Tyler only fell in once! Those little black specks at the bottom of the ponds are Parker and Tyler. 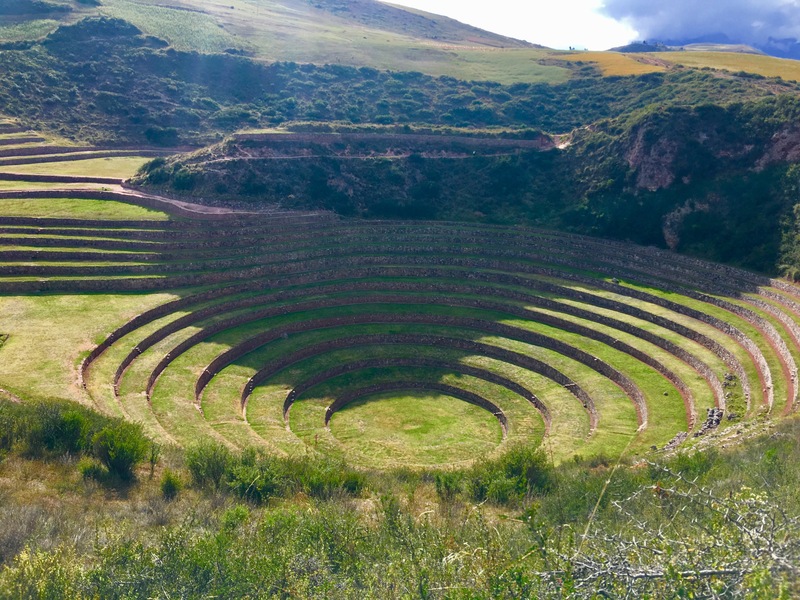 Moray is an area near Maras which has several Incan circular agricultural terraces. 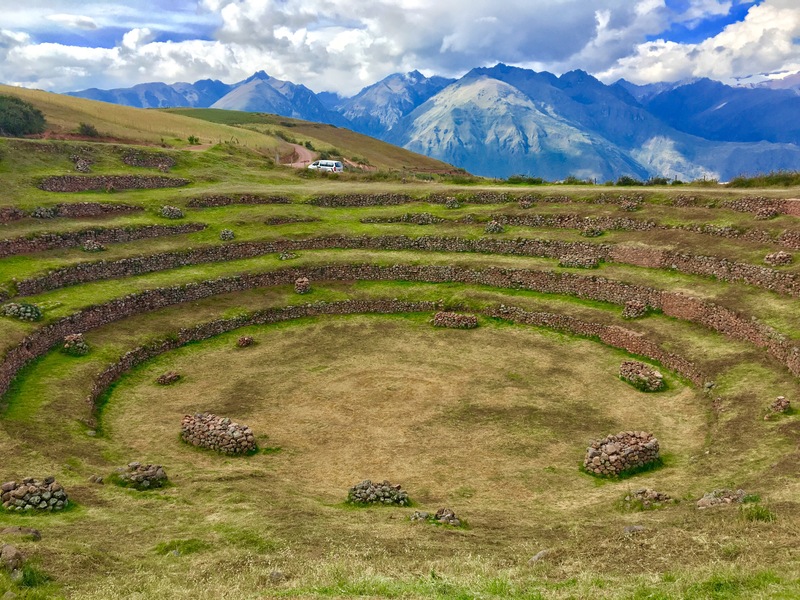 In the largest circle there is a difference of almost 30 degrees Fahrenheit from the top to the bottom, because of this and other factors it has been conjectured that the Incas may have used these areas to test crops in different climatic conditions. 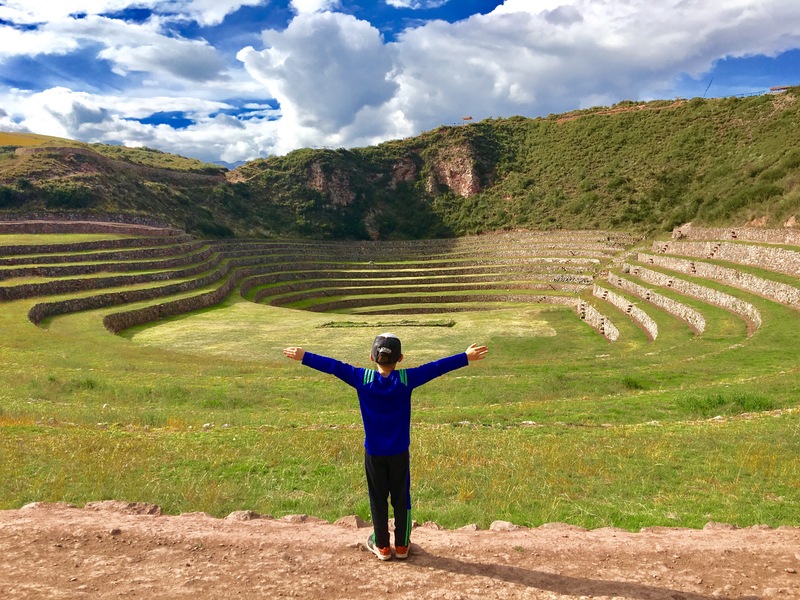 I feel like we just scratched the surface of all the Sacred Valley had to offer, but with limited time, and children’s attention spans, we couldn’t see everything. 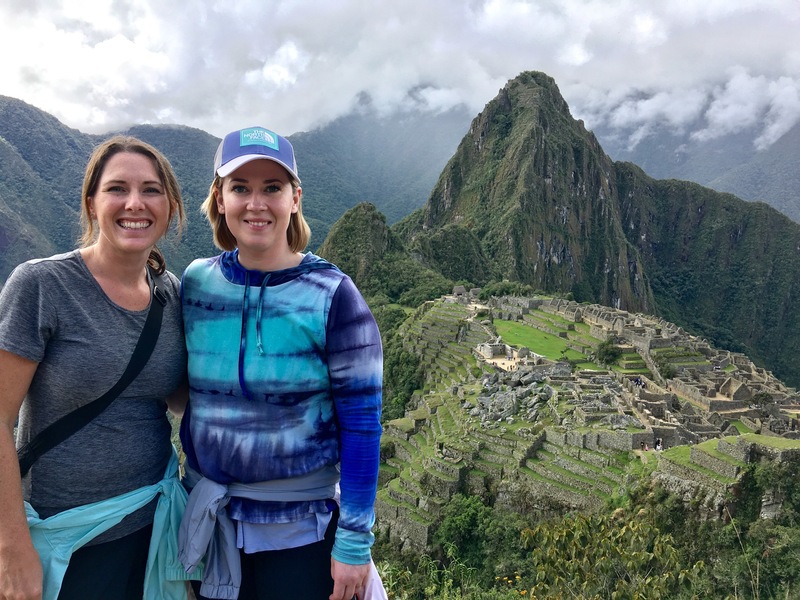 Someday, I’d love for Jeromy to see Machu Picchu so we can explore more of the Sacred Valley together!